I highly encourage you to follow their blog (hey, and mine while you're at it!) 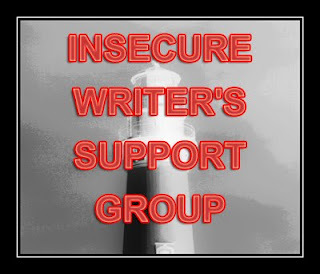 and when you visit their new site, go ahead and sign up to be a part of IWSG. It's a great network of writers. So what do I have to share with you today? Well ... I've been thinking a lot lately about the beginning writer (maybe because I have just started writing a new story, and I feel like I'm learning to write all over again). And ... more specifically I've been thinking about the resources available to newbie writers. There are a ton, especially when you consider the wealth of information on the internet. Where do you possibly start? On one hand, I wish I'd read these books before I'd ever written the first draft of my first manuscript, but then on the other hand, I may have never written a single word if I'd realized the amount of work that really goes into writing a great novel. ;) Maybe. These books have really inspired me to move forward and dig deeper with my writing. I refer back to them often, and I've read some of them multiple times. Have you read any of these books? Which one is your favorite? On Writing, hands down is my favorite. But then again I'm a little biased as he is my favorite writer. Thanks for plugging the IWSG site! Save the Cat is my favorite writing book. I didn't read it until after I wrote the first draft of my second book, but it helped so much. Thanks for the link. I haven't heard of it. Am going over next to check it out.